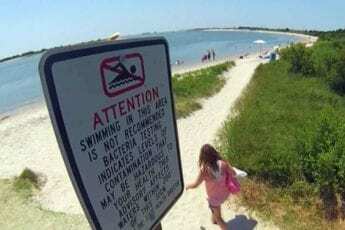 Rep. Beverly Boswell, R-Dare, introduced a bill in the state House on Thursday that would reopen a lab in Dare County that tests samples from area waters for shellfish sanitation and recreational quality. The northern N.C. Dept. of Environmental Quality water testing laboratory in Nags Head was closed after federal and state funding cuts earlier this decade. “The legislation that I am sponsoring will help us protect our natural resources by again sampling and analyzing our coastal waters to ensure they are safe for wading, swimming and shellfishing,” Boswell said. The Southern Shores Civic Association, Town of Southern Shores, and Dare County Board of Commissioners requested last year the General Assembly provide funds to sample and analyze bacteria levels at locations across northeastern North Carolina and the Outer Banks. According to Boswell, the request came past last sessions bill filing deadline, but she made a commitment to the stakeholders that she would get the bill filed in the short session that began on Wednesday. Her proposal would appropriate $176,946 in recurring funds and $95,898 in nonrecurring funds to NCDEQ to re-establish the laboratory in Nags Head and fund a lab technician position, with the money coming from a fund established last year for shellfish clutch planting activities. The bill now awaits assignment to the appropriate House committees on Monday. Ole Bev. She better get all she can done in the short session this year because it is her last one. For the sake of the good people of the OBX just hope her nonsense of wanting to run on the Constitution Party (Sore Loser) doesnt cost her bills being lost in the Rules Committee. She wasnt respected in Raleigh before and this would just be embarrassing for her and this area. Between Bev, Big Bill Cook and his little boy–that crowd has burnt a lot of bridges and their credibility in Raleigh has been diminished exponentially. Don’t care for Boswell but she done something good and you guys can’t wait to jump in with both feet. Give her some credit, she’s finally learning what we expect. You decided to move “their” full time? @Jon: My resignation letter is dated and was emailed to the Dare GOP Executive Committee. I can forward that to you from my “sent” emails, date and all, if you email me. To answer your other question, my house sale closed on April 25th, however you do not have to own property to be a resident on NC. We also own a vacation home in Florida, and decided to move their full time on May 11th, and changed our permanent residency until May 16th.